You may have noticed a little circled-heart on the bottom right on my Instagram photos and a weird link in my captions lately. No I'm not leaving a personalized stamp on my photos (although that would be neat! ), and I'm definitely not sleep-posting crazy looking links on my social media! These stamps and links mean that my photos on Instagram are now shoppable via the LiketoKnow.it app! Now many of you are probably familiar with LiketoKnow.it and already use the app - I know I do to shop other blogger's posts! If you're already using LiketoKnow.it, you can follow me here. LiketoKnow.it is an app you can download on your smartphone or tablet to be able to shop your favorite influencers' posts. 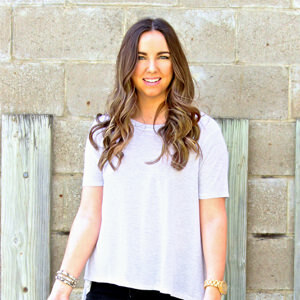 It doesn't just have to be fashion looks or outfits - you can shop almost anything from the LiketoKnow.it app. Now I know you're probably thinking "Libby, you want me to download another app on my phone? If I see something I like, can't I just ask you where it's from or try to search it online myself?". The short answer to this question is yes, you really want this app and I promise it will be one you actually use! Step 1: Screenshot an Instagram photo you want to shop! See the little circle-heart on the bottom left of my photo? 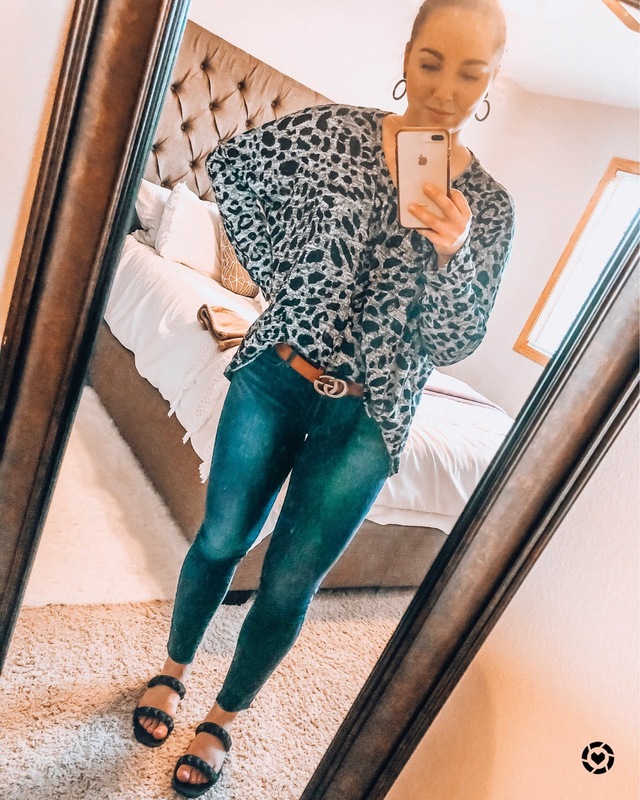 That image means you can shop this look using the LiketoKnow.it app (from here on out, all of my photos on social media will be shoppable in the LiketoKnow.it app). Your first step is to screenshot this pic on your phone! Now that you're in the app, click on the "My Likes" tab - it's the circle heart symbol at the bottom! This is where all of your screenshots will be saved. If you were shopping my photo, you'd click on it to shop the post. From here you'll see all of the products that you can shop from this post. If you click on any of the product pictures, it will take you straight to the product website to purchase! Easy peasy. Another bonus is that each time you screenshot an image you want to shop, you'll get an email from LiketoKnow.it with all the shoppable links and details. For those of you like me who hate getting a ton of emails, you can adjust how often you receive these emails in the LiketoKnow.it app in the account settings. Not crazy about all the screenshots piling up on your phone? 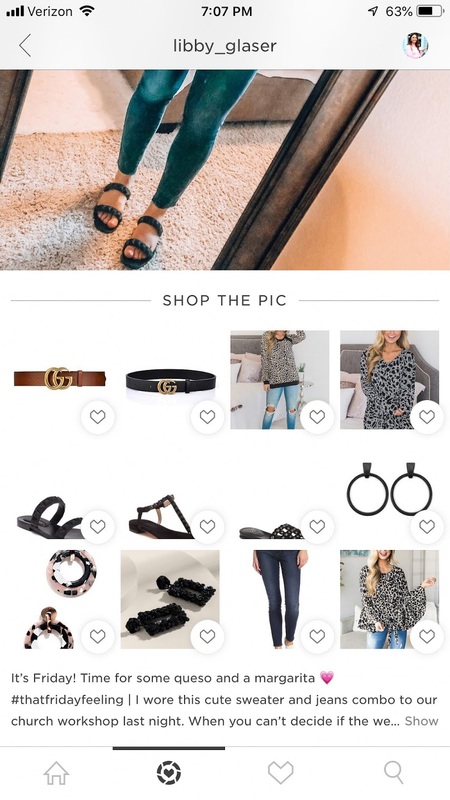 The app also allows you to delete all your shoppable screenshots directly from the app in the account settings so you don't have random Instagram screenshots clogging up your iPhone photos! I do this about once/week to keep my iPhone photos organized. Now if you're a loyal blog reader and don't necessarily follow me on Instagram (if you don't, you should! I post at least once a day. Follow me here), never fear - I'll still post regular content on my blog each week and nothing here is changing! However if you want to shop my Instagram directly from my blog, now you'll be able to do that. I added a new page in my header called "Shop My Instagram". This nifty page will automatically update as I post new looks on Instagram. 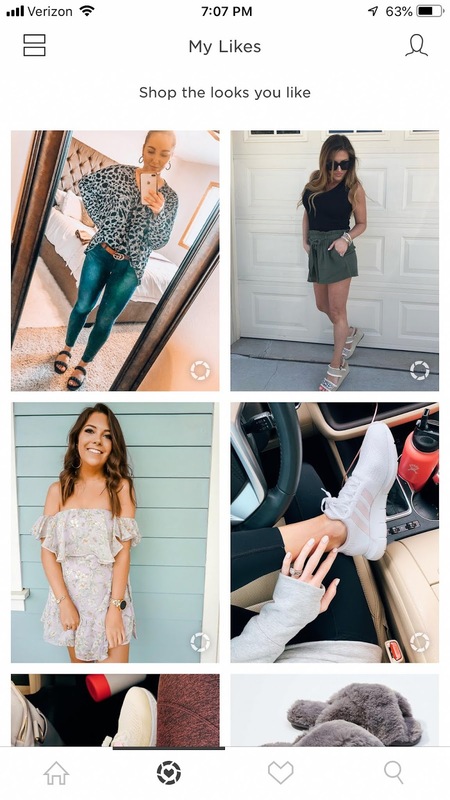 Essentially, if you're not already following me on Instagram, this will give you a peak into my everyday life, date night #OOTDs, home inspiration, ect. that are all completely shoppable! You can also shop this page without having a LiketoKnow.it account set up. I hope you find this tutorial helpful. If you have questions about how this works, feel free to email me! I'll try my best to answer your questions! Happy shopping and as always, thanks so much for reading and supporting my blog.